AT&T has reopened its Aspire program shelling out $250 million to help fix what is widely seen as a US student dropout crisis. With Aspire, AT&T wants to send “a real wake-up” call and as it’s one of the biggest corporate investments in education in recent years it should serve its purpose. The $250 million funding will spread over 5 years. “AT&T Aspire works toward an America where every student graduates high school equipped with the knowledge and skills to strengthen the nation’s workforce,” AT&T Chairman and CEO Randall Stephenson said. The AT&T Aspire program will allow applicants to receive funding if they run a successful drop-out prevention program and for non-profit organizations if they are closely related to school districts. The carrier’s initiative will promote efforts connected to science, technology, math or engineering and grants will start from $100,000 and up to $300,000. 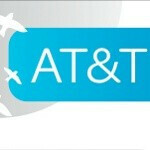 Additionally, AT&T will also help students using resources from its AT&T Foundry developer program. The college dropout problem in states like California stands at nearly 18%, but it’s even higher for latinos (22%) and African Americans (29%). Strategies helping solve the issue include tutoring, after-school programs, safe schools, career training and early literacy education.